The pita pocket sandwich is a rock star for lunch. This particular menu item became popular over a decade ago and has stuck around ever since. This easy lunchtime meal is extremely versatile so you can have something new each day of the week. Whether you need a delicious lunch to bring to work, school or take on a picnic, the pita pocket is a champ. 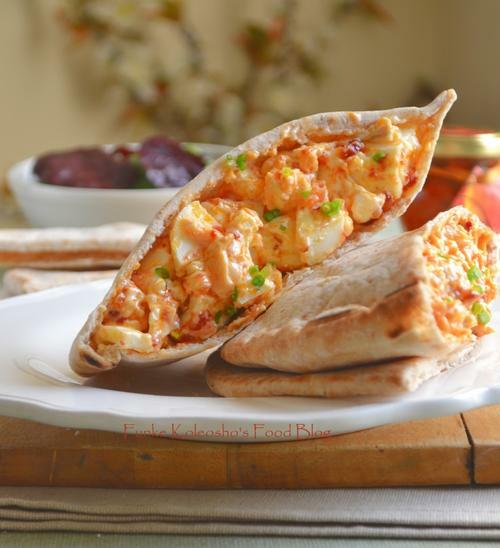 The humble egg salad sandwich has been given a face lift with this pita pocket version. Chopped hard boiled eggs (yolks and whites) are combined with a Nigerian chile sauce, ata dindin, and mayonnaise. This recipe keeps things simple and does not add any sandwich fillers but feel free to toss in a few leaves or watercress or arugula. Our two favorite picnic salads come together in these tasty potato and egg salad-stuffed pita pockets. Toss in diced tomatoes and green onion for extra flavor and color and you've got a downright delicious lunch! Kofta is a Eastern Mediterranean/ Middle Eastern is a heavily spiced heavily spiced meatball. Since ground turkey is so mildly flavored, it is perfect for this application because it absorbs all the wonderful flavors. The meatballs are mixed with ground coriander, cumin, turmeric, onion and garlic. They are served with tzatziki sauce and the normal sandwich accouterments. If you are a fan of Greek salad, then this grilled chicken Greek pita is guaranteed to be a favorite. Various vegetables including artichoke hearts, cucumber and tomato are loaded into a pita pocket with grilled chicken and feta cheese. A drizzle of yogurt dressing brings the whole sandwich together. The falafel pita pocket is probably the most traditional sandwich of them all. 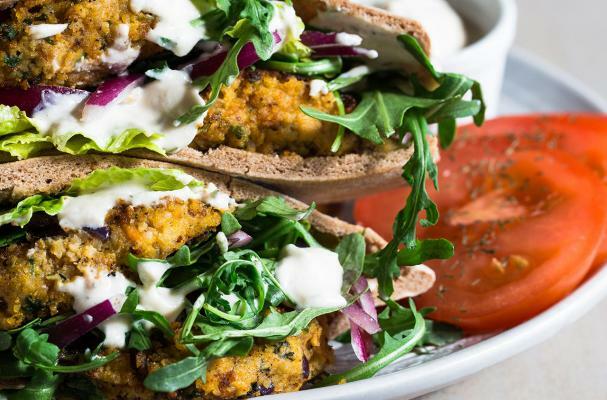 Chickpeas and sweet potatoes form the falafel patties and are seasoned with tahini, garlic and cumin. This entirely vegan meal is made even more delicious when it is paired with pickled red onions, fresh greens and a cashew cream.